Induction not only jump-starts your weight loss, it is also a convenient refuge to which you can retreat whenever you need to get off a weight loss plateau or to get back on the program after a lapse. So if you've fallen off your Lifetime Maintenance program for whatever reason, you can return to Induction, and, like the ignition of an automobile, it will get your engine to turn over and start you down the road again. If you reached your goal weight before slipping off the wagon for a brief period, you won't have to do Induction for long-just until you get back into lipolysis and the secondary process of ketosis. You'll know that has happened when you once again experience the ability to be in control of your appetite-the feeling that was such a revelation after the first forty-eight hours doing Induction. These are perfectly appropriate uses of Induction. 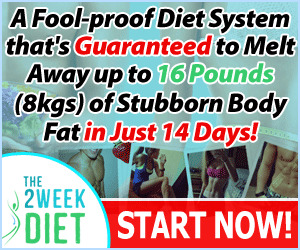 However, Induction can be abused and that abuse can ultimately threaten your ability to maintain a healthy weight. First of all, if you retreat to Induction every time you stray, you may begin to reinforce a dangerous pattern of behavior. By knowing Induction is there as a refuge, it may keep you from following the guidelines of the stage you are in. For a minor infraction or even a day of cheating, there is no need to go back to Induction. Simply drop down 5 or 10 grams for a couple of days, or go back to the previous phase. It is important that you learn how to eat properly as a way of life. Zigzagging back and forth between Induction and Lifetime Maintenance means you have not integrated this new, healthy eating pattern into your life. 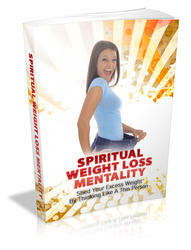 Another more serious concern I have is the impact this back-and-forthing can have on your metabolism. (See "The Wrong Way to Do Atkins" on pages 223-225.) 1 have heard people say, "I love doing Atkins, because we can cheat on the weekends, then go back to Induction on Monday morning" While this behavior pattern may work for the short term, it will probably backfire in more ways than one. It's likely that your metabolism will adapt at a certain point-in a sense, developing a tolerance. People who repeatedly regain weight and go back to Induction sometimes find that they do not experience the dramatic and easy weight loss they initially enjoyed. Add in the fact that none of us is getting any younger and our metabolism's natural tendency is to slow down with passing years. Finally, your body pays a price healthwise if you dramatically switch back and forth repeatedly from a fat-burning to a glucose-burning metabolism. If you keep retreating to Induction from Lifetime Maintenance, it becomes a form of yo-yo dieting. I'm not saying you shouldn't go back to Induction when you need it, I'm simply saying don't do it regularly, in the belief that it will always work the same way for you. You may be in for a nasty surprise.